It's vital for credibility, business value and thought leadership that your company's C-level is socially active. Social networks have become such an important part of most people’s lives that it’s hard to find anyone these days without a Facebook or Twitter profile. According to Smart Insights, 37% of the world’s population (almost 2.8 billion people) is now active on different social networks. The number of Fortune 500 CEOs with a social media presence is also on the rise. Decision makers in many of the top companies in the world use platforms like Facebook, Twitter, and LinkedIn to not only connect with their target audience but also to voice their opinions and position their brands on important social and cultural issues that their customers care about. Many C-level executives, however, still consider social media an unnecessary distraction not worthy of their time. But research tells us something very different. 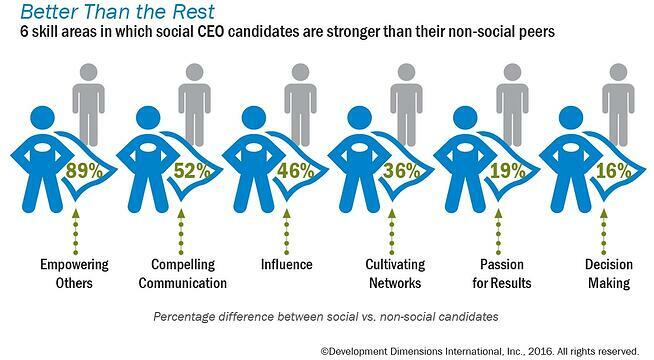 A study by DDI reveals that CEO candidates who’re active on social media perform better in several leadership areas. Another study shows that nearly 83% of consumers trust a brand more when its CEO and leadership team actively engages with people on social media. More than anything else, social media is a cultural shift with major implications for businesses. Everyone from customers and prospects to employees and business stakeholders is using social networks for important personal and business communication. Can C-level executives afford to stay on the sidelines, especially when they’re expected to lead and provide direction to their employees? If you’re in a leadership position and still not sure why you should use social media, here are a few compelling reasons to change your mind. As a CEO, your words hold value not only for your employees but also for your prospective customers. You can use the exposure and the reach of social media to build a highly credible image of your company and increase brand awareness just by interacting with people. For example, Brian Chesky, the CEO of Airbnb, spends a few hours every month engaging with his followers on Twitter and inviting their suggestions on improving his company. People understand that CEOs are busy people and appreciate when a top executive of a company takes the time to listen to their feedback. Nothing builds brand loyalty faster. 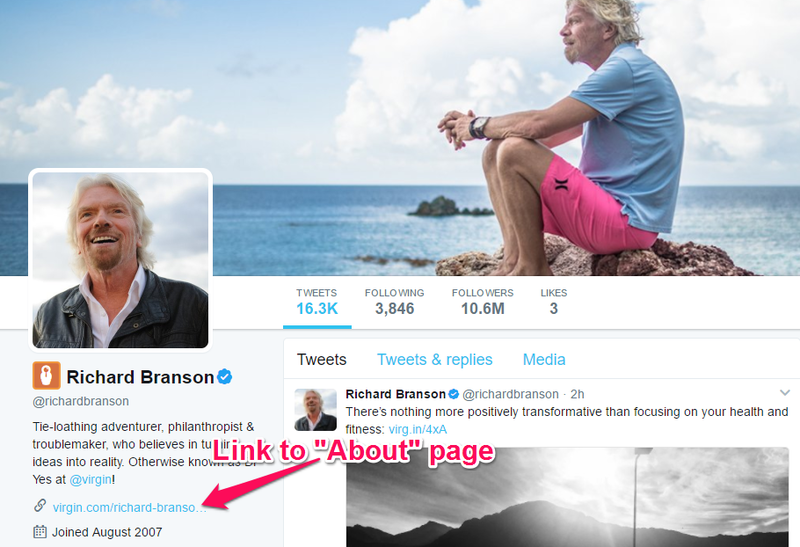 Some of the top CEOs in the world actively share valuable industry insights, leadership tips, and professional advice through their content on social media. LinkedIn, for example, acknowledges the thought leaders in every industry as influencers and promotes their content to the relevant users. By creating high-value content that answers the biggest questions of your audience on a regular basis, you can grow your following and establish your image as a thought leader as well. This results in more opportunities to grow your business and partner with other like-minded organizations. As a CEO, you’re not directly involved in the sales process. But in today’s highly connected world, any prospective client is almost certain to look for the social media profiles of your company’s top management before making the final purchase decision. An active social media presence, along with a comprehensive “About” section on your website, means your prospects can run thorough background checks about your company and its leadership team. Assuming you have the right credentials, this would only work in your favor and allow them to close the deal with greater peace of mind, knowing you’re the right company for the job. Social media is a powerful broadcasting and PR tool that you can use to not only connect with influential journalists and publications but also to counter any negative propaganda or disinformation campaign against your company. As an organization, you’re bound to run into controversies sooner or later. If you have a large and engaged social media following it only takes a few Tweets or Facebook updates to publish your official response to any PR crisis. This could potentially save you hundreds of thousands of dollars that conventional media organizations would otherwise charge to publish and broadcast your message. Thousands of brands and organizations are competing for attention and using different strategies to keep their followers engaged. The only way to counter this is by encouraging your workforce to become active brand advocates on social media and positively contribute towards your company’s image by helping your customers in any way possible. This, however, requires a well-planned and coordinated effort which cannot be executed unless your C-level is fully on board and leading from the front. Using the strength of your workforce can significantly improve the effectiveness of your social media marketing efforts and help you create awareness about your brand much faster. The benefits of a carefully designed social media strategy for your top leadership significantly outweigh the risks associated with it. As a leader, you need to view social media as an opportunity to maximize your brand’s impact and consider its long-term impact on your organizational objectives.